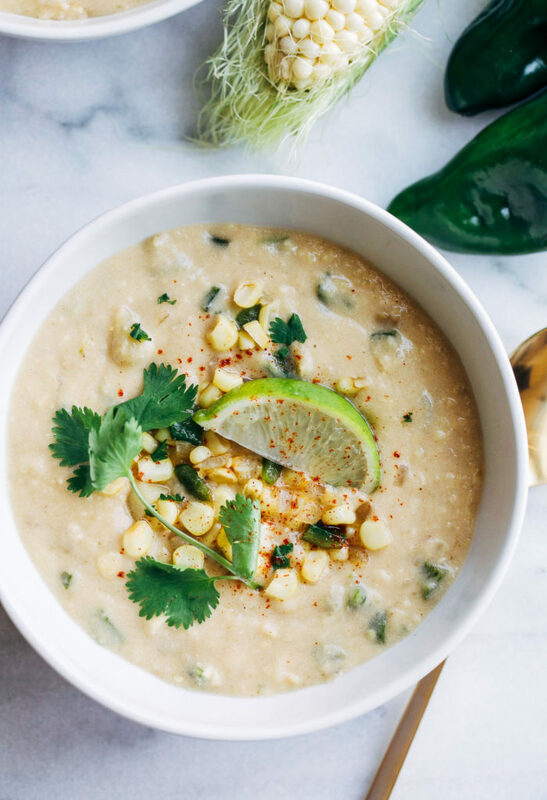 Vegan Roasted Poblano Corn Chowder- a comforting and creamy soup made from fresh corn, potatoes, roasted poblanos and coconut milk. You’d never guess it’s made without dairy! When I returned home sick from our trip to Asia last month I laid on the couch eating nothing but boxed soup and toast for almost an entire week. It was the first time I’ve been sick like that in almost seven years and it seriously knocked me on my arse. Eventually I worked up the energy to put away the boxed stuff and get back to recipe testing my own soup. 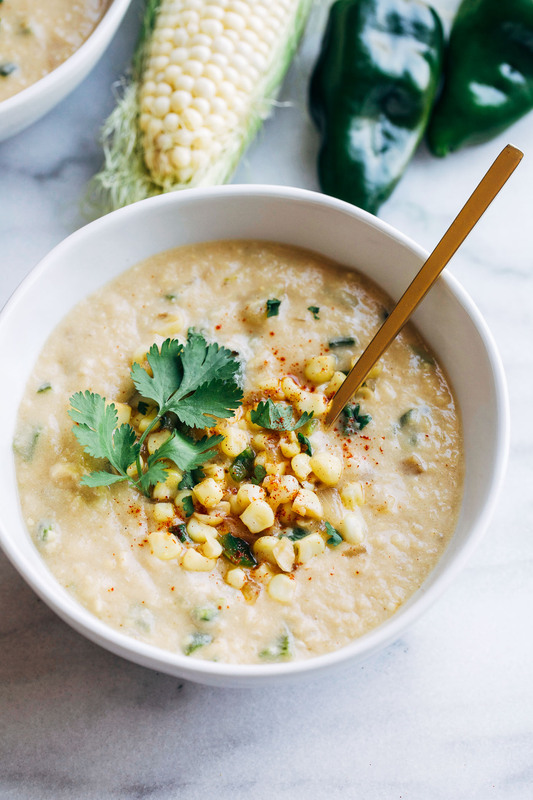 After a couple of trials, this Roasted Poblano Corn Chowder was the first thing I came up with. 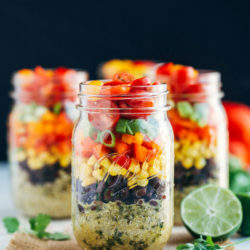 It’s actually been on my to-make list since last summer when I shared the Copycat Chipotle Corn Salsa. 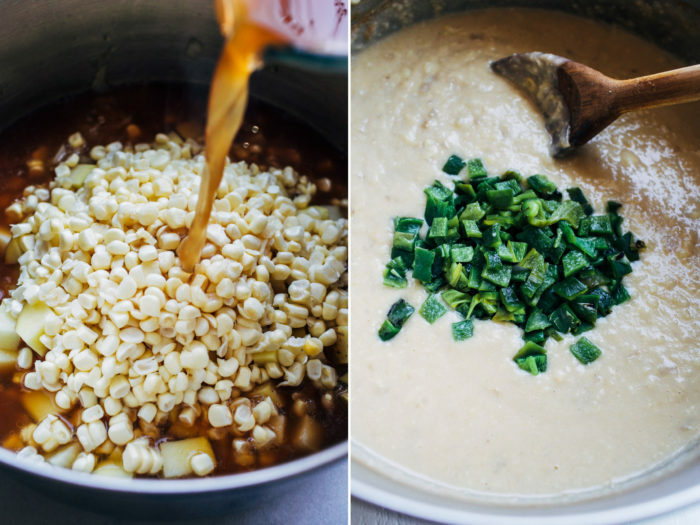 The roasted poblanos are everything in that salsa and I knew they would taste incredible in a creamy corn chowder. The recipe calls for fresh corn which I rarely eat because of a bond on my front tooth. If that thing broke off it would not be cute, trust me. But in this case fresh corn is worth the extra trouble because the texture is so much better than frozen. Between cutting the kernels off the cobb and roasting the poblanos, it’s not the fastest of recipes but it’s one delicious way to say goodbye to summer and welcome the crisp fall evenings. I personally find roasting them and peeling off the skin to be fun but if you’re in a pinch for time, you easily substitute green chilis! 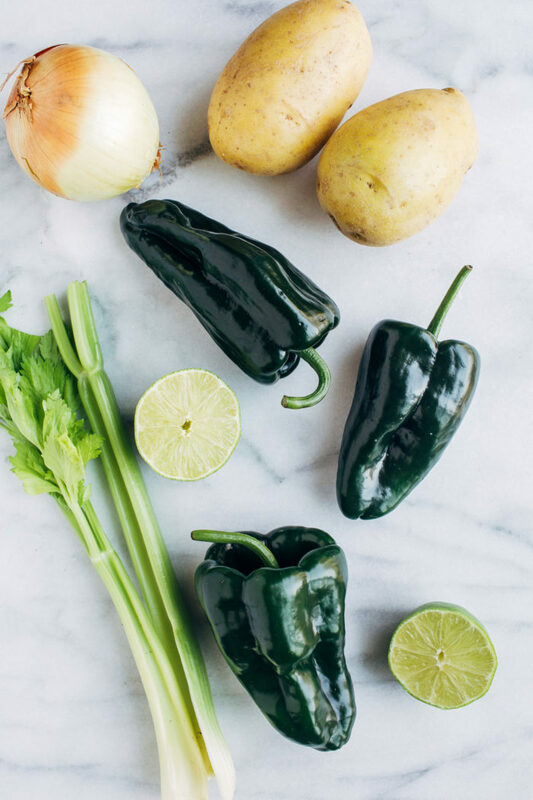 Start by roasting the poblano peppers: to roast them over an open flame on a gas stove, place them on the burner over medium-high heat and cook until you hear the skin make a popping sound. Using tongs, flip it over to cook each side until charred. You can also cook them on baking sheet under the broiler for about 10 minutes while using tongs to rotate them every couple of minutes. Transfer the peppers to a bowl and cover with a plate or foil. Allow them to sit and steam for about 10 minutes. Using dish gloves or a paper towel, scrape the outer charred skin off with your hands. It’s okay if you can’t get all of the charred bits off. Remove the core and seeds then dice the peppers and set aside. Prepare the soup: In a large pot, warm the butter over medium heat. Add the onion and cook for 2-3 minutes, until translucent. Stir in the garlic, celery, potatoes, and seasonings (cumin, oregano, salt, to taste- I like about 1/2 teaspoon) and continue to cook for another 5 minutes. Next add the corn with the vegetable broth and bring to a boil. Cook for about 25-30 minutes, until the potatoes are soft. Serve in individual bowls with fresh squeezed lime juice, fresh cilantro and a sprinkle of smoked paprika (optional). 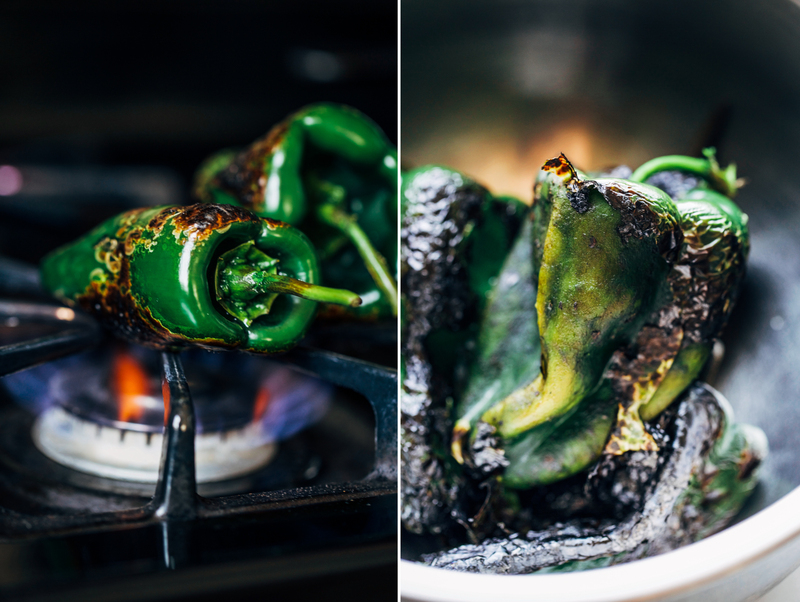 *This video offers a helpful tutorial on how to roast poblano peppers. You can substitute 1 can of diced green chilies to save time. so sorry to hear you have been sick – poor you ! :) – Are you alright now again? Beautiful recipe – and even more beautiful photographs. Oooh this looks amazing. I love corn chowder. Definitely printing this one! Love anything with peppers and chiles! Can’t wait to try this! Yummmmm!!!! I’ll take a bowl for dinner tonight please! :) I love using coconut milk in soup – it’s just the best isn’t it?? It does wonders for the texture! Thank you, Traci! I love the idea to freeze the roasted poblanos. I bet that does wonders for saving time! I hate being sick like that, especially because I’m the cook in the house and there’s nobody that’s going to make me some homemade soup! 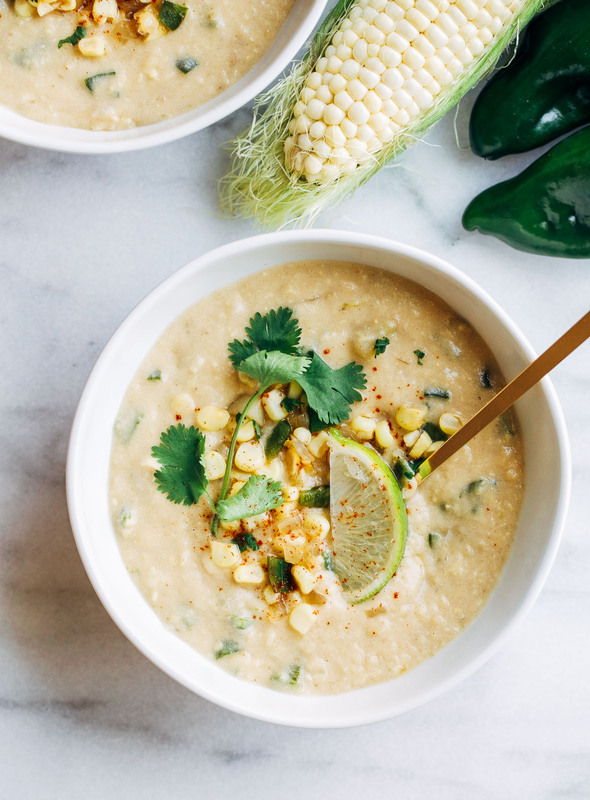 I’m absolutely dying over this soup and I’m making this very soon…those charred poblanos are killing me! Right! That’s why I had to eat boxed soup, lol! Sure! 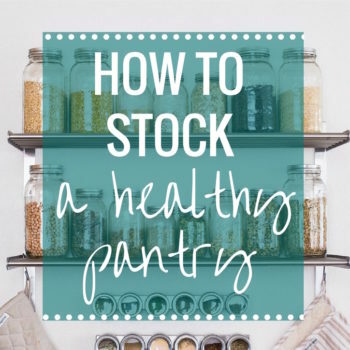 I think as long as you’ve prepped it as directed, you can keep it warm in the slow cooker. You just might need to add more broth if it gets too thick! This looks amazing, can’t wait to try it! Question, when you say Coconut Milk, does that mean original flavor Coconut beverage, like sold next to rice milk and almond milk? Thanks!! I use plain unsweetened coconut milk in can but if the coconut beverage is unsweetened then I think that would work. You just don’t want the coconut flavor to be overpowering! Question I always see recipes with coconut milk since I’m looking for vegan recipes, and I’m so glad I found this reply that you said “can” because I never knew what to use since there’s 2 kinds of coconut milk. Haha. So here’s my question when I open the can there’s the liquid and the meat so do you mix it together or just use the meal or just the liquid? I’m new to vegan cooking. Hi Breanna! I usually shake the coconut milk before I open it but if it’s still separated, you can warm it in a bowl in the microwave or small saucepan on the stove. This will help melt it together so that it’s more uniform. The separation occurs because of cool temperatures. I hope that helps! Thank you Sarah it does!!! I just made this tonight. In the absence of poblanos at the grocery store, I substituted one large jalapeno. I also cheated and used frozen corn–it turned out fantastic! 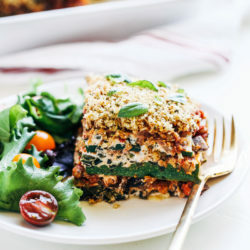 I tried this last night and it tasted amazing with the poblano peppers! My boyfriend finished a big bowl and then said “I want more!” I have been cooking off of your blog almost every day for the last 3 months and am always impressed, thanks Sarah! Your comment totally made my day. I’m so glad you both enjoyed it. Thank you Kajaul. Happy New Year!! Made this soup tonight with a side of kale salad. I don’t know why but it took an hour + from start to finish. I also couldn’t use poblanos because my store didn’t have any so I used Anaheim instead. The soup had great flavor and was definitely healthier than an original corn chowder. I would make it again though since it was so tasty! This was perfect! 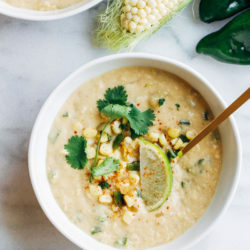 I had corn, potatoes, and poblanos sitting out ready to grill when I searched “vegan corn chowder” and just the right recipe came up. I didn’t have celery so that was omitted. I grilled all the vegetables to create char marks and used an immersion blender which worked perfectly. The flavor was so good after blending that I didn’t end up using the coconut milk since we didn’t feel it was needed. Thank you for a great recipe. I look forward to making it exactly as written next time when I’m more prepared. I’m so glad it still worked out with what you had on hand, David. Thanks for the comment! I made this recipe so I wouldn’t have to waste 8 ears of left over grilled corn. Even though I had to improvise a bit, it still turned out very good. The vegetable broth was replaced with water, since all I had was beef and chicken broth, vegan butter was replaced with coconut oil, and coconut milk was replaced with unsweetened almond milk. I increased the amount of milk to help make up for not having the veg. broth. Still feel like it needs “something”… fresh cilantro really set it off. Also, I added a bit of cayenne pepper to give it a little more kick. Just tried this tonight, so good and heartwarming in the winter. 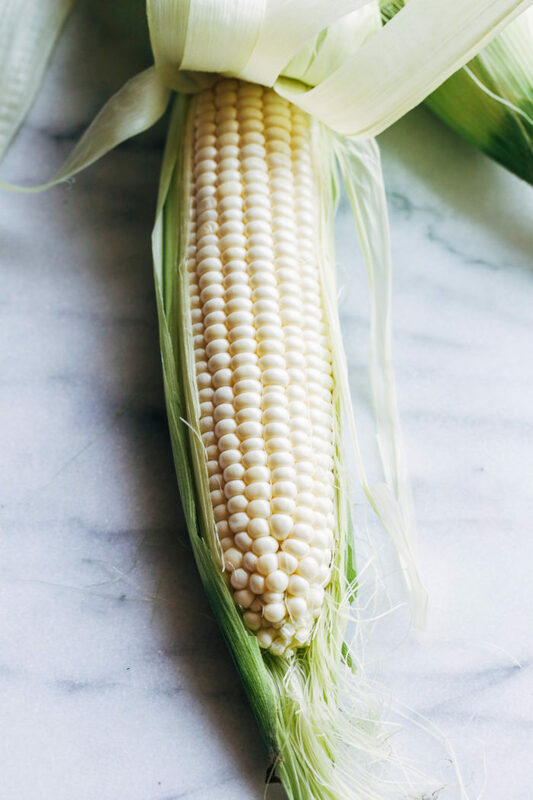 We froze corn from our garden this summer and this was a great way to use it. I also added the shiitake bacon on top from one of your other recipes it was so good! 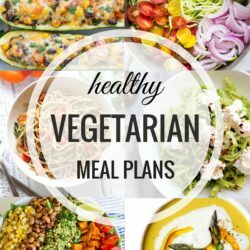 Thank you for the great recipes so nice to find some good vegetarian food to make. I’m so glad you enjoyed it! Brilliant idea to add the shiitake bacon too. Yum! This was incredible. The cilantro as a garnish is an absolute must, really rounds out the dish. I didn’t see the amount of salt to use in the ingredients. I used about 1/2 tsp at first, then probably another 1/2 tsp towards the end. So delicious, will definitely make again. Thank you for the review, Brittany! Made this with what I had in the kitchen. Loved it!! Didn’t have potatoes, but I did have sweet potatoes. Used olive oil instead of butter, didn’t have celery or oregano. Also I only had beef broth. Made this specifically to use some poblano peppers I just picked up from the market. I don’t usually cook and this turned out lovely! 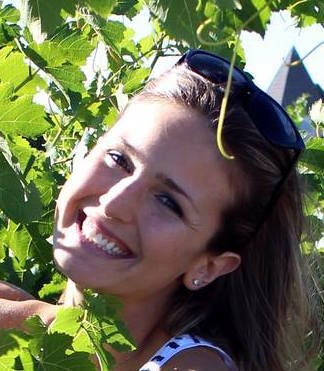 I’m happy to hear it worked out for you, Ashley! This was absolutely delicious! I added diced carrots to it and because I’m not vegan, I added some diced chicken breast as well. 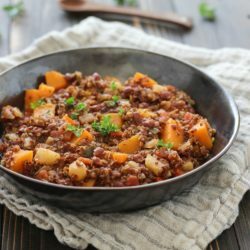 This recipe is a life saver because I’m gluten free and dairy free. 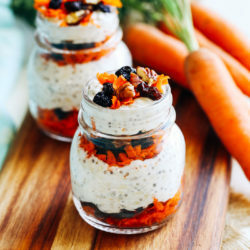 Do you know the nutrition facts for the recipe? I’m so glad you enjoyed it! I’m working on getting the most accurate nutrition facts for my site and I hope to have them available soon! This is the first time I’ve ever made soup from scratch! Your recipie is amazing!!! I actually added green peppers, leeks and green onions so my soup is a little more green than yellow :) but still tastes amazing!! My roommate was scraping soup off of the blender with her finger lol! THANK YOU!! I’ll be trying more recipies soon! !